ABBOTSFORD — There is an old saying about patience which tells us that it’s not so much about the wait as it is what we do while we’re waiting. Yet rare is the understudy with the perspective to not only embrace the process but understand that the ability to influence a team is not restricted solely to tangibles like the amount of match-minutes accumulated. 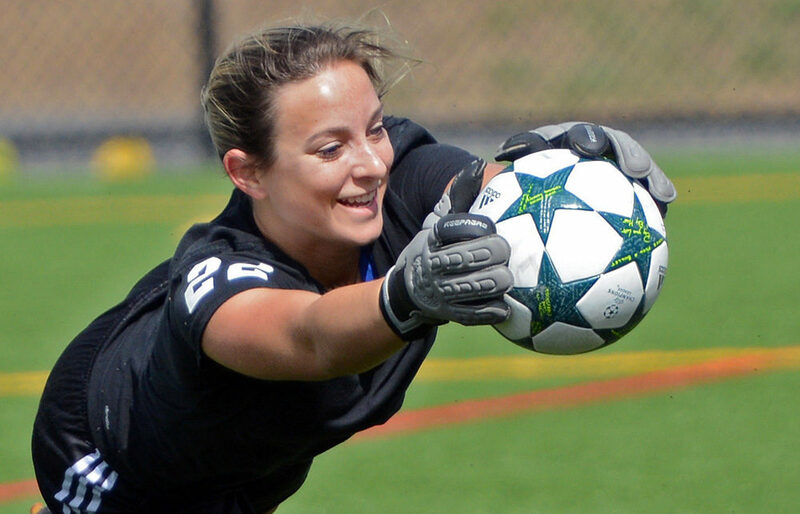 On Friday (5:30 p.m., MRC Sports Complex), when the Fraser Valley Cascades open their 2017 Canada West women’s soccer season by welcoming the Victoria Vikes to Abbotsford, goalkeeper Emily Harold will begin the final season of her university sports career by putting away her well-worn second fiddle, completing an ascent to the first-string which was four years in the making. Put that wait in the context of a five-year U Sports eligibility window and you know Langley’s Harold wasn’t just hanging around for fun. It’s an example of attitude and commitment that Fraser Valley head coach Rob Giesbrecht could never have simulated and one that will serve the Cascades well as they look to maintain consistency from a 2016 team which set a new program-high for conference wins (nine) but graduated six starters. “A lot of others would have just packed it in but she has worked so hard, and she made Kayla better,” begins Giesbrecht of Harold. “Nobody on our team can complain about the role they have because she has had the toughest, and through all of that it’s so cool to see a kid emerge as a leader. She talks the talk, and then in a team setting she walks it. Over the offseason, Giesbrecht brought in highly-touted rookie keeper Joven Sandhu, and the message is clear that nothing is guaranteed. But Harold wouldn’t want it any other way. “With Kayla being as good as she was, it made me push past my own limits,” says Harold, “and being behind her for four years, it was frustrating. I won’t lie. And although playing time has been rare, Harold is not without game-time experience. Over her first four seasons, she has made six Canada West starts. 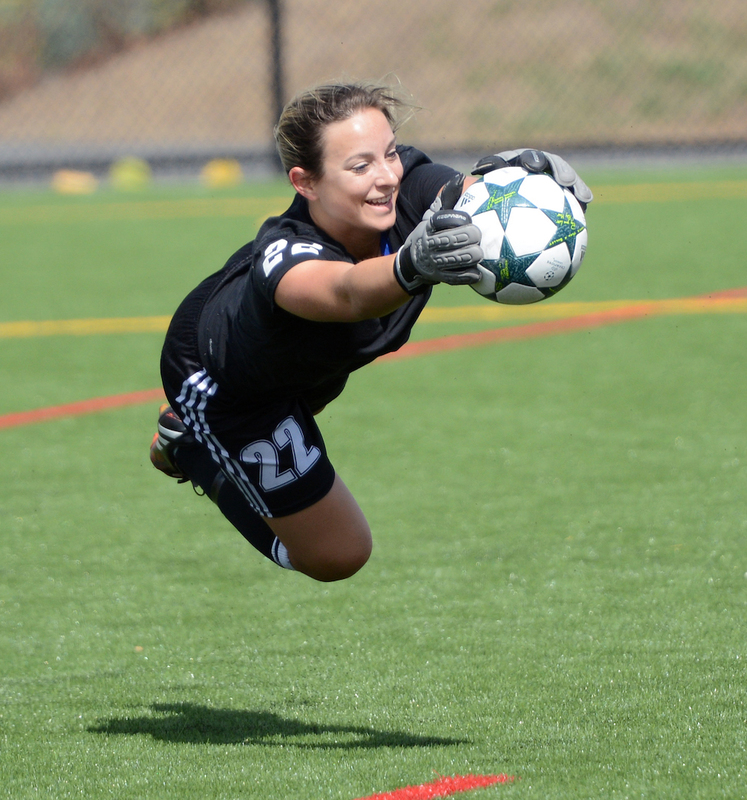 Last season, she started three games and recorded three shutouts, but faced just five total shots in those matches. Her performance will dictate how many starts she gets this season, with both Sandhu and fourth-year Risa Venuto on the scene. Yet it’s clear that whatever winds up happening, Harold will be a key contributor to the culture of the Cascades. She is hoping to enter the teacher education program in the fall of 2018 on her way to eventually becoming an elementary school teacher. Yet before all of that happens, she is ready to play a role that has been four years in the making. “Coach has always told me to prepare like I am going to start a game,” says Harold, “because you never know when your number is going to be called. Going into my third year, I thought about transferring, about going to a place where I could still do my teaching program but also play more. Yes, it’s a story about waiting your turn. But more than that, it’s a story about becoming the best version of yourself along that journey.